He has ​obtained hands-on experience in micro/nano-fabrication technologies, with specific applications of developing monolithically integrated optoelectronic devices. His research interests include active and passive photonic integration, optoelectronics, laser physics, applied non-linear optics, optical communications and networks. 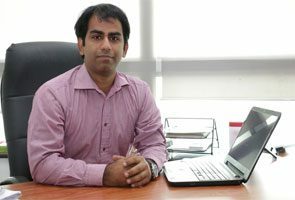 Dr. Younis is an Assistant Professor in the Department of Electrical Engineering, Information Technology University (ITU), Lahore, Pakistan. Previously, he has worked as an Assistant Professor at the School of Electrical Engineering & Computer Science, National University of Sciences & Technology (NUST), Islamabad, Pakistan, and as a research fellow in the Department of Electrical and Computer Engineering, National University of Singapore, Singapore. 1. U. Younis, X. Luo, B. Dong, H. Li, A. Eu-Jin Lim, P. G.-Q. Lo, A. A. Bettiol, and K-W Ang, “Mid-IR waveguides in SOI platform,” The Conference on Lasers and Electro-Optics Pacific-Rim (CLEO-PR), August, 2017, Singapore. 3. Usman Younis, Sudheer K. Vanga, Andy Eu-Jin Lim, Patrick Guo-Qiang Lo, Andrew A. Bettiol, and Kah-Wee Ang, "Germanium-on-SOI waveguides for mid-infrared wavelengths," Opt. Express, Vol. 24, pp. 11987-11993, 2016. 4. U. Younis, S. Vanga, A. Bettiol, and K.-W. Ang, “Towards Low-loss Mid-Infrared Waveguides in Ge-on-SoI,” inThe Conference on Lasers and Electro-Optics (CLEO), June, 2016, San Jose, California, United States. 5. Usman Younis, Abdullah Nafis Khan, “Propagation Loss Analysis of Ion Implantation Induced Quantum Well Intermixed GaAs/AlGaAs Waveguides”, Chinese Journal of Physics, Vol. 53, No. 4, Aug, 2015. 6. Asif Bilal, Usman Younis, Barry M Holmes, David C Hutchings, Abdullah N Khan, "Continuous-wave room-temperature laser action in GaAs/AlGaAssuperlattices", Advanced Solid State Lasers, Nov, 2014, Shanghai China. 7. Usman Younis, Barry M. Holmes, and David C. Hutchings, "Characterization and optimization of ion implantation for high spatial resolution quantum well intermixing in GaAs/AlGaAssuperlattices", The European Physical Journal Applied Physics, Vol. 66, No. 01, pp. 10101 p1-p5, Apr, 2014. 8. Sean J. Wagner, Barry M. Holmes, Usman Younis, IliyaSigal, Amr S. Helmy, J. Stewart Aitchison, and David C. Hutchings, "Difference Frequency Generation by Quasi-Phase Matching in Periodically Intermixed Semiconductor Superlattice Waveguides", IEEE Journal of Quantum Electronics, Vol. 47, No. 6, pp. 834 - 840, Apr, 2011. 9. Amr S. Helmy, PayamAbolghasem, J. Stewart Aitchison, Bhavin J. Bijlani, Junbo Han, Barry M. Holmes, David C. Hutchings,Usman Younis, and Sean J. Wagner, "Recent advances in phase matching of second-order nonlinearities in monolithic semiconductor waveguides", Laser & Photonics Reviews, Vol. 5, No. 2, pp. 272-286, Mar, 2011. 10. Usman Younis, Barry M. Holmes, David C. Hutchings, and John S. Roberts, "Towards Monolithic Integration of Nonlinear Optical Frequency Conversion", IEEE Photonics Technology Letters, Vol. 22, No. 18, pp. 1358-1360, Sep, 2010. Keynote Speaker at "IEEE Explosion’14" / IEEE Day, Mehran University of Engineering and Technology, Jamshoro, Sindh, Pakistan. School of Electrical Engineering and Computer Science, NUST, Islamabad, Pakistan. 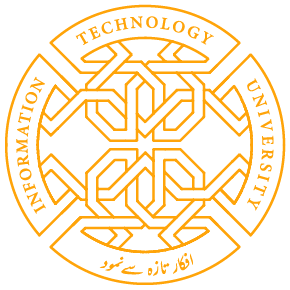 Invited Speaker in the National Conference on Quantum Tehcnologies, 2014, Hazara University, Mansehra, KPK, Pakistan. Plenary Talk in The International Conference and Workshop on Nano Science and Technology, 2012, Quaid-i-Azam University, Islamabad, Pakistan. Invited Speaker in The Rank Prize Optoelectronics symposium on Periodically-Modulated and Artificially Hetero-Structured devices, 2009, Grasmere, Cumbria, UK. Rector’s Gold Medal for 1st Position in MS, NUST 5th PG Convocation, 2007.